Designed and constructed using modern engineering techniques and manufactured from the nest materials to the highest standards. Features “twin lift” stability, open base design, and four levelling feet. The MK2 offers three electric actuators, controlled by a foot switch. 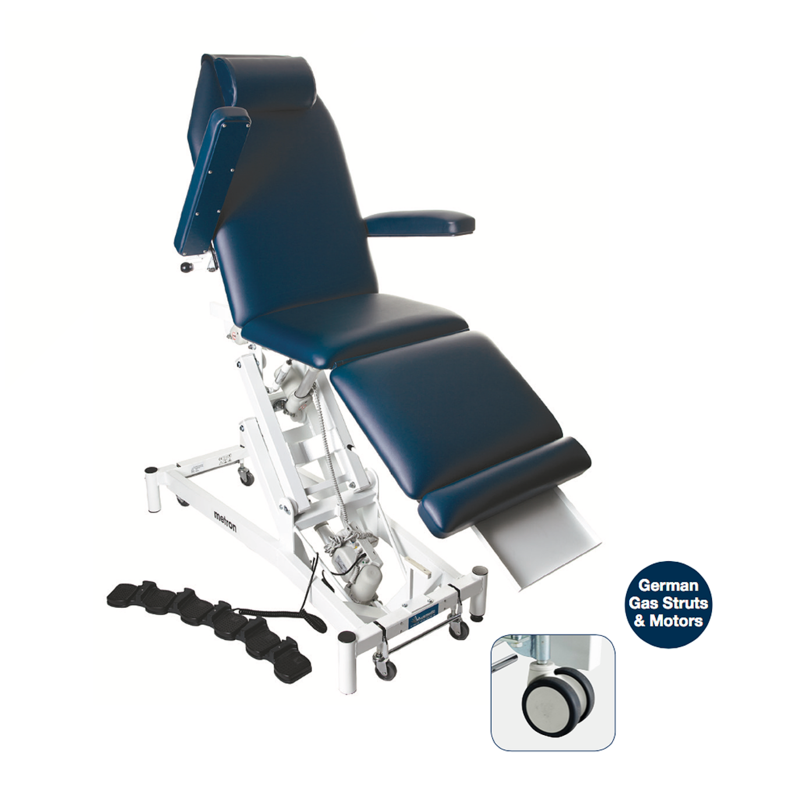 This controls the height, back rest and tilt angle adjustment. The leg rest has a smooth gas-strut adjustment. This allows perfect positioning for both patient and practitioner. In addition all models give complete and unrestricted access for a range of patient treatments. Comes with four wheels, as standard.